It might take Loopool a little time to make the listener yield, but it works. “As Dionysis” opens a twisted, surrealist gateway into the bacchian realms of wandering and hangover. Through three tracks that takes half the space of the 3″CDr they were printed on, we are being taken to a bittersweet ride through hallucinations, poisonous joy and blurry hedonism. Mantra-like electronic pulses boom the lilac sky while flutes, part dreamy and part insane, sing their songs into our ears. We are sitting here in my room and listening to this, feeling the mixture of bliss and paranoia crawling up our spine, and I swear all we took before listening to this album was coffee. 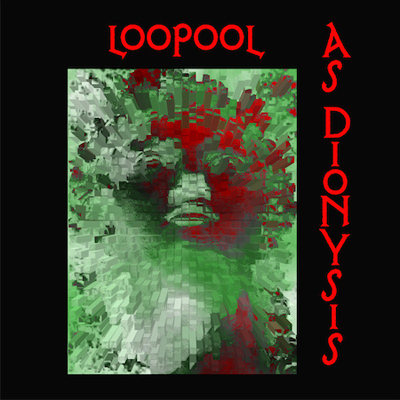 Infusing what might sound like an LSD scene in the old Star trek series and a twisted, claustrophobic, and 20 times faster version of early Tangerine dream music, Loopool makes this experience a memorable one. Even if short, it brings joy as well as horror in such short intervals that makes these two feelings mix together in our blood. We, all who are sitting in my room now, agree that this is an E.P well worth listening to. And when I say ‘We’ I mean me and some friends, physical instead of anything made up by any type of toxin.